Howdy friends! Some of my favorite foods to take to a 4th of July get-together are potato salad, baked beans, and a festive dessert. Potatoes in all colors are so pretty, my friend Katie created the recipe for the beans, and Joy the Baker never disappoints. I hope you enjoy them as much as we do! I love how beautiful produce is. Deep green kale, bright orange cantaloupe, and vivid blueberries are among my faves. So why not let the potatoes do the talking in this deliciously tangy, classic picnic salad? I love the red wine vinegar with Dijon mustard and the lack of mayo makes it a little lighter on the calories so if you are counting those silly things, you can more happily dig into dessert later on. My friend Katie Mae posted this recipe and we love it. There is a time and a place for opening a can of baked beans but if you have the time – and put a premium on homemade food when possible like I do – this is your recipe. You can still take the short cut of using canned beans in the recipe but I found they were a bit on the mushy side so I did it again with her instructions for making beans in the crock pot and they turned out just perfect. These really need no explanation. Strawberry season has been wrapped up for a few weeks now but I’ll be digging out some I froze for this delicious recipe. Combine them with blackberries that are just now available at local farms (wild ones are still a month out) and this is an irresistible combination of sweet, tart, creamy, and flaky. Keep the recipe the same but cut twice as many biscuits so there can be more to share. What will you be bringing to a summer holiday barbecue? I always love new recipes so please share in the comments! These are all things I hear on a regular basis and I’m guessing you do as well if you are married and/or have children. If you’re single, you probably say some of these things in your own head (I know I did!) so this covers just about everybody. Disclaimer: my husband is more than capable of finding his own food but since I’m the one that does the shopping, if I’ve recently returned from a stock-up trip to Costco, this is a normal part of initial food conversations. 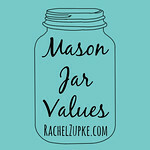 While this is not a new idea by any means, I put my own spin on it and gave it a name (probably already in use by another mama…great minds, think alike, right?). Basically, I converted one of the crisper drawers in the fridge into Snack City. Since our preschool age daughter can now bring over a stool and access the lower parts of the fridge, I wanted to help her independence by creating an area that she can access whenever she wants. No more “can you get me a snack” or “what is there to eat” business. Grab the stool, open the fridge, and take a peek. To facilitate healthy snacking, I spent some time this afternoon peeling and chopping carrots (yes, I know they come that way but I prefer the long sticks versus little nubs), washing and chopping other produce, and rearranging the fridge so the things I trust her to get herself – and hand out to her toddler brother – were all in one drawer. Not an exhaustive list of what will ever be available, this is what we currently have available for free range snacking. We do have other fruits/veggies/healthy snack type foods in our fridge but they either take time to prep/slice/etc and would do better being done at the time of snacking, are set aside for a meal in the monthly menu plan, are too expensive to be trusted with little hands willy-nilly (i.e. organic raspberries get doled out at meals or for dessert), or they just didn’t fit. My children – nor my husband or I – are limited to these snacks. However, with things like carrots and peppers pre-chopped, it’s much easier to grab a handful of those crunchy veggies than it would be if I had to stop what I was doing and prep them to be eaten. We also have things like cashews and apple-juice-sweetened dried cranberries (SO much better than Craisins IMO and obviously WAY less sugar) in the cupboard. For every piece of fruit, grab a veggie. Only one non-produce item (yogurt, applesauce, or string cheese) at a time. Fruits and veggies are unlimited (see first rule). Share with your brother (ah, siblings). What is in/what would be in your Self-Serve Snack Drawer? What favorite grab and go healthy/easy to prep ahead of time snacks are your faves? I’d love to hear in the comments! Whether you’re a seasoned essential oil user or brand new to the wonderful world of natural solutions, summer is a great time to add a few recipes to your holistic self-care/health-care toolkit. There are lots of ways you can use oils in the summer time but the following are my three favorite methods. Portable – I carry several in my purse at all times! Easy to apply – you don’t have to even touch the oil, it’s ready to just roll on. Pre-mixed – while blends you can purchase might work for some things, there are other issues you want to make your own blends for (see the two recipes below). Pre-diluted – dilution is SO important; too many people do NOT follow proper guidelines with this (don’t follow what you see on Pinterest!). Here are 2 roller bottle recipes to use this summer! Ouchies and owies: we’re all outside more and there are more opportunities to get yourself into *good* trouble. Whether you’ve been out on the trail, working in the garden, or your kiddo is learning to ride their bike, this is a great go-to that helps with all sorts of ouchies and owies. In a 5 mL roller bottle, put 3 drops of lavender, 3 drops of melaleuca, 1 drop of frankincense, and 1 drop of cypress. Fill to the top of the bottle with a carrier oil (I love fractionated coconut oil), put the roller top on, and cap it. This blend soothes the skin and helps your body do it’s job to deal with the problem faster. Outdoor bug blend (skeeters and flies): I love doing things outside – especially camping! – but that usually means I’ll meet my fair share of lovely buzzing insects. You can use a pre-blended oil or make your own (my preference!). My favorite see-ya-later-bugs combo is 4 drops of lemongrass and 4 drops of peppermint in a 5 mL roller bottle (top with carrier oil). The only caution with this blend is for breastfeeding gals – peppermint can have an impact on your milk supply so try it out once and see before using liberally (otherwise it’s safe to use!). Sometimes you just need a pick me up around the house in the summer time. Maybe the kids are getting stir crazy being at home for several days in a row, perhaps you were all up late the night before and you need to get stuff done, or maybe you’re home from vacation and want that summery feeling at the end of a long work day. Whatever the reason, the following two diffuser blends are for you! They are from my new ebook, 101 Essential Oil Blends for Aromatic and Topical Use. Fruity fresh blend: balance, uplift, purify, and release. This gentle and relaxing blend is great for any part of summer, but especially as you transition from summer to fall. Summer in the riviera: I can only imagine this is what a summer in such a beautiful place would smell and feel like. These are great for summer because there you’re often showing more skin and want to keep it nourished and healthy. Rubs and creams can help keep your skin looking and feeling great as well as help you work out some issues you may have run into (too much sun, perhaps?). If that’s the problem, try this one out! In 2 tablespoons of pure aloe vera gel, put 3 drops lavender, 3 drops peppermint, 2 drops geranium, and 2 drops frankincense. Thoroughly mix and apply to skin as needed (keeping away from eyes; breastfeeding mamas, same warning here with your milk supply). There are lots more rub and cream recipes but this is such an important summer go-to that I scale up the ratio of oils and put it in a dropper bottle. When we need it, I shake up the bottle, measure out 10-15 drops into the aforementioned 2 tablespoons of aloe, and it’s ready to use. And I decided to choose two entries. Amy and Lindsay, you won! I’m giving away a pair of the roller bottle blends from this post to a randomly drawn winner (mailed within the US only). In the comments, tell me YOUR favorite way to use essential oils in the summertime (I love new ideas!). In the comments, tell me which resource(s) in the Herbs and Essential Oils Bundle most intrigue(s) you. The bundle is gone Monday night…that’s also when the giveaway closes! I will only be coaching two seasons next year. As of this month, I have taken a one year leave of absence from coaching high school girls basketball. For the first time in 24 years, my holidays will not be filled with non-stop action but instead with rest and a focus on family. For those of you that know me well, you might be a bit shocked that I’m taking something off my plate. With the arrival of our third kiddo this fall, I wasn’t sure that I would be able to handle a preschooler, a toddler, and a newborn. Or that my husband would want to handle all of that after a long workday so I could be out coaching. If you read this post back in January, you might have caught of glimpse of this rumbling beneath the surface. I didn’t even know I was pregnant when I wrote it but God had been laying on my heart the idea of slowing down and making tough decisions when it came to how we spent time in our family. I do feel that I’m called to work with high school students…but maybe not with a third newborn. I don’t want to experience that drowning sensation; instead, I’d like to be fully invested in the husband and three children God has gifted me with (Lord willing, a good delivery and a healthy baby, of course). I have been turning my priorities over and over in my head since writing that post (6 months ago!) and I want them to reflect who I say I am (more in the next section). I want that order to be wife, mom, and THEN high school sports coach, with Christ follower woven through the entirety of my identity. This was by far the hardest part of the equation. Sure, I knew I could pull it off but was that because I thought I was the only one who could do it? Am I fearing being replaced? What if I didn’t listen to God and trudged ahead, claiming to be Wonder Woman and attempting to balance it all? I know I would drop something. When I told the basketball girls I was taking the year off, the thing I emphasized was how badly I want to be good at everything I do and if I can’t do everything well, then something needs to go. After sitting down and making tough decisions, it was evident that I needed to drop basketball during this season of life. I recently listened to a Bible study by Bill Hybels called Simplicity. One of his emphases was prioritizing your time and how your schedule reflected who you were working to become. I want my schedule to reflect the priorities I stated above: wife, mom, and coach with Christ weaved throughout. Not that Christ doesn’t come first – no, I firmly believe that He should be part of every facet of a Christian’s life, not just relegated to Sunday worship services and weeknight Bible studies. Since I feel called to be all three of those things – wife, mom, coach – and I want to do them all well, one of them has to decrease as one naturally increases (2 kids to 3!). Just as a sheet of paper doesn’t grow when you reach the margins, my time and energy also don’t expand just because I’ve run out of room. Eventually, all my attempts at pasting together a larger canvas just set me up for eventually dismantling at the first raindrop. And we live in the Pacific Northwest, y’all. There will be rain. As hard as it was for me to do, I had to say no to one of my coaching jobs, at least for a [literal] season. I am incredibly grateful that my head coach (I was just the assistant varsity/JV head coach) enthusiastically supported my desire to take the year off. While I don’t enjoy wrestling with philosophical questions, I know that over the next year, I’ll need to do some serious soul searching – and the seeking of wisdom from family and trusted friends – to determine whether this truly is a one year leave of absence or something I take a break from until my kids are bigger. I will keep praying, keep reading, and keep seeking, trusting that the Lord has this all under control and that He will reveal His will to be in due time. Until then, I’ll stay at peace with my current decision and look forward to watching our third kiddo learn to crawl on the gym floor during the 2017-2018 basketball season. Do you also struggle with prioritizing the things that put you on the path to becoming who God wants you to be? What types of thoughts stand in your way? I’d love to hear in the comments. I *literally* stumbled into using essential oils. Almost 3 years ago, I tripped over a rug in our house (yes, I did) and broke the hallux – aka big toe – of my right foot. Sheepish, I was determined to be all healed up and ready for basketball season a mere 6 weeks away. The podiatrist was skeptical, though, thinking that I’d need an additional 2 weeks before lacing up my sneaks. Ever the go-getter, I researched alternative healing options along with faithfully wearing the prescribed stiff-bottomed shoe. I found a protocol for supporting my healing foot with essential oils so I researched where to buy some and headed down to a local natural store to purchase the ingredients. At my follow-up x-ray, the doctor was surprised to see that not only had the bone healed fully, the stretched out ligaments surrounding it had also healed as well. I was released from my boot and given clearance to get out on the court with my athletes. A few months later, I was pregnant and wanted to continue down the path I was already on of moving to a more natural lifestyle. Morning sickness? Ginger tea. Headache? Ibuprofen’s a no-no during pregnancy and we were out of acetaminophen but I did have this handful of random oils leftover from my broken toe. I googled what you can do for a head and neck tension and so I tried applying peppermint to my temples. It worked! My sister had been getting into essential oils at the time too so we talked about the brand she used. Both science minded – she’s a nurse and I was a high school science teacher – we read scholarly journal articles about the efficacy of essential oils for a variety of problems. Curiosity piqued, I started saving up for a stash of my own. Meanwhile, a blogger friend of mine had been writing a bunch about the same brand of essential oils and I couldn’t learn enough. I finally had enough saved up – while expensive, they’re amazingly worth it! – and purchased a kit that allowed me to be able to keep our family healthy without the chemicals in over the counter meds and in other compounds throughout our home. As a naturally minded mama, essential oils are a key element in my healthy and wellness toolkit. As a former science teacher, I am fascinated with the science behind how these amazing molecules work. Whether I’m using them in easily applied roller bottles or diffusing them throughout the rooms of our home, essential oils have become a mainstay in the ins and outs of every day life. That teaching degree? While I’m not using it in a traditional classroom, I’ll teach educate anyone who will listen to the merits of essential oils. This respect for the power of essential oils is what first drove me to share them with others. I have THE textbook – Essential Oil Safety, 2nd Edition, by Tisserand and Young – and I nerdily have read the entire first half and have referenced through much of the oil listings. I knew that what was listed on Pinterest couldn’t be right (80 drops of an oil? Are you kidding?!?) and sure enough, that’s enough to send you to the hospital. But wait…you only tell others about oils so you can make money off of people. You’re just a salesperson. While I do use a particular brand of essential oil (and LOVE it), I truly want to share about oils and how to use them safely and effectively. Sometimes I actually forget to tell people which company because I get so caught up in talking about how great essential oils are in general! (#facepalm) But seriously, I have seen too many people tell others how to use oils in an unsafe and ineffective manner and it kills me. 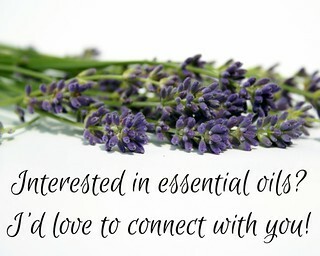 I mean the following with all my heart and if you talk to any one who has attended one of my in-person or Facebook classes, had a Skype session with me, or sat down with me one-on-one, they will tell you that I’m passionate about helping people use oils right. My blog isn’t going to turn into an oils HQ but I will be posting things here and there about them. I want to help people improve their lives through taking care of themselves and those around them in the best possible way, whatever that looks like. If you end up using the brand of oils I do, great! If not, I’m happy to still help you as long as you use a quality source. Either way, I’d be blessed to help you on your oiling journey. Check out Active Mama Oils for more.